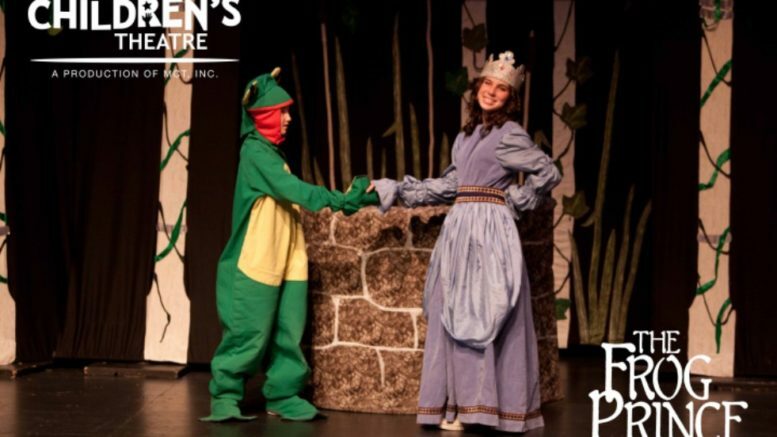 An audition will be held for Missoula Children’s Theatre production of The Frog Prince on Monday, Feb.4 from 3:45 until 5:45 p.m. Students, grades Kindergarten through 12th grade are encouraged to audition. “The Frog Prince” will be presented at 3 and 7 p.m. at the Troy High School Auditorium on Saturday, Feb. 9. Tickets are $4 for adults and $1 for students, and are available at the door. Deep in the royal swamp, a lonely Frog retrieves a golden ball for Princess Prim in exchange for friendship and comfort. The spoiled princess doesn’t want to live up to her part of the bargain and puts her royal Knights on alert. And so the trouble begins. Luckily, Frog gets some good advice from Ollie the wise old Aspen tree, the well-read Alligator, and the kindly Swamp Things. The Ducks, a busy Fly, and dancing Flamingos also come to Frog’s assistance as the Frog’s kindly servant tirelessly tries to set things right. Even the kindly Princess Proper and spunky Princess Peppy get involved and, despite the trouble caused by the mischievous Venus Fly Traps, all ends happily. Our hero becomes a Prince (formerly known as Frog) and realizes that friendships are made, not bought—and he discovers that it is not what you are but who you are that counts. The Missoula Children’s Theatre residency in Troy is brought to you by the Troy Fine Arts Council and Troy Parks and Recreation. 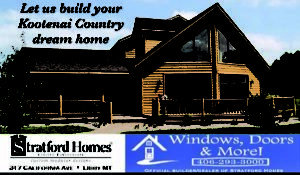 For more information, call Tyann Hermes, 293-1304. The Libby Branch Library staff and the Libby Friends of the Library are jointly offering two special programs at the Library on Tuesday, Feb. 5. The Children’s Story Time that day, which starts at 10:15 a.m., will have Angie McLaury reading books and telling the children about bees. The activity for the children that day will also focus on bees. Adults will have the opportunity to gain some knowledge about bees during a Lunch and Learn format. This will also on Feb. 5, from noon until 1 p.m., being held in the downstairs Meeting Room of the Library. Angie McLaury, from McLaury Apiaries here in Libby, will provide basic information about bees including a video. She will also bring a sampling of some of the hive products including honey and wax. The Libby Friends of the Library will provided coffee, tea, water, and cookies to go along with your own lunch. This format is informal, so if you can’t stay for the entire hour or can’t arrive until after noon, that is ok. Come and find out everything you always wanted to know about bees. The Libby Friends of the Library will also have their monthly Book Sale on Friday, Feb. 1 at the Libby Library from 10 a.m. until 4:30 p.m. Come and see what new books, audiotapes and videotapes/DVD’s have been put out for this month’s sale. All proceeds from the sale go to support the library’s programs and materials. The Bull Lake Ice Fishing Derby was rescheduled for Saturday and Sunday, Feb. 2 and 3. For more information and to register contact Jason Williams at jwilliams92883@att.net or call 295-4358. The Fisher River Valley Fire & Rescue Ice Derby was held on schedule Saturday and Sunday, Jan. 26 and 27. The Thompson Chain of Lakes Perch Assault is scheduled for Saturday, Feb. 2. For more information and to register contact Chancy at chancyfish@gmail.com or call 406-314-8024. The McGregor Lake Ice Derby was cancelled. 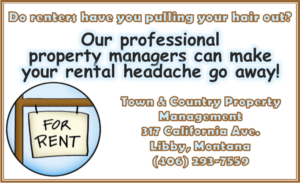 For more information email carolynatthelodge@hotm ail.com or call 406-858-2253. The Wild West Panfish Tournament is still on schedule for Saturday and Sunday, Feb. 23 and 24. For more information and to register contact Chancy at chancyfish@gmail.com or call 406-314-8024. Last but not least, the Lake Koocanusa/Tobacco Valley Rod & Gun Club Rainbow Derby is scheduld for Saturday and Sunday, March 9 and 10. For more information and to register contact the Koocanusa Marina at 293-7474. Ice fishing is a great winter activity that the entire family can enjoy. 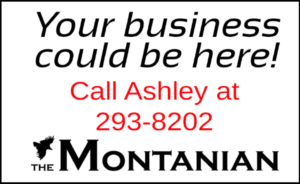 Montana Fish, Wildlife and Parks reminds anglers that safety should be the number one concern during a day out on the ice. The safest ice anglers are those who pay as much attention to the changing conditions of the ice as they do to the fishing conditions. If you have even the slightest doubt about the safety of the ice—stay off it. No fish is ever worth a fall into frigid water. Blue ice is usually hard. Watch out for opaque, gray, dark or porous spots in the ice that could be weak, soft areas. Ice also tends to thin more quickly at the shorelines. Watch for pressure ridges. These are areas of open water or thin ice where the ice has cracked and heaved due to expansion from freezing. Test the ice ahead of you with an ice spud bar or an auger. Don’t leave children unsupervised on the ice. Lakes and ponds do not freeze at the same thickness all over. Moving water—rivers, streams and springs—weaken ice by wearing it away from underneath. Avoid ice on rivers and streams, or where a river or stream enters a lake, pond or reservoir. The least safe ice usually occurs early and late in the season, when the weather is warmer. Dress warm and waterproof to help prevent frostbite and hypothermia. Consider changes in the weather (and ice conditions) during the prior 24 hours. It’s OK to wear a life jacket (PFD) or carry a throwable floatation device while out on the ice safe ice-anglers do it all the time. Before you head from home, tell someone where you plan to fish and when you plan to return. Carry a pair of ice picks (long spikes on a heavy string around your neck). If you break through the ice, you can use the spikes to grip the ice and pull yourself out of the water. FWP wishes all anglers a safe, adventurous, and successful ice fishing season!